—Dan Rather in The Camera Never Blinks. 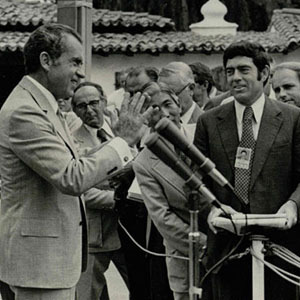 Dan Rather has been reporting about and commenting on U.S political affairs since the Eisenhower administration. 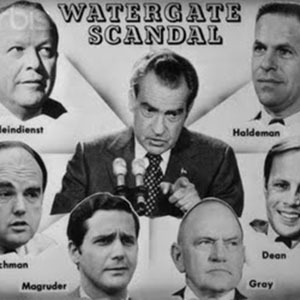 As a White House correspondent from 1964 to 1975, he closely followed the Johnson and Nixon administrations and reported extensively on the Watergate scandal. Rather continued, as the anchor of CBS News and as an investigative journalist, to report about the affairs of Capitol Hill. To this day, he is a valued commentator on political matters, on television and print as well as on Facebook. 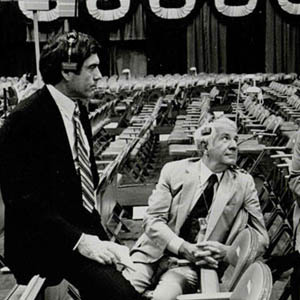 A lover of all things political, Dan Rather has always been especially interested in elections, often reminding viewers and listeners that voting is vital for American democracy. He has covered every election cycle since his first convention in 1956, has studied every primary, and interviewed major political players. Rather has reported on conventions and election nights since 1960, first with the CBS Election team, then with Dan Rather Reports, and he is now taking the discussion and analysis to Facebook.